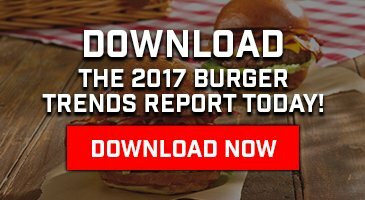 What makes the very best burger? That’s a question that will probably never be answered or at least agreed to by the masses. As one of the most iconic sandwiches in the world, the difference in opinions on toppings, cooking methods, blends and even where one should go to eat one, is a debate that fuels constant updating and innovation for burgers. I was recently invited by Robin and Eric Gagnon to represent Schweid & Sons on a panel of burger experts that included Restaurateur George Frangos from Farm Burger and John Abdo, the President / CEO of My Burger as we discussed this hot button topic on the We Sell Restaurants radio show. Restaurateur-partner George Frangos brought an immense amount of restaurant industry knowledge to the success of opening Farm Burger, having previously worked as a part of the Concentrics Hospitality Group management team and as owner/ operator of Victory 96 State Street in Portsmouth, NH. Through years spent at two of the nation’s first and finest locavore restaurants, Peter Hoffman’s Manhattan institution, Savoy, and Nora Poullon’s Restaurant Nora in Washington, D.C., Frangos developed a commitment to seasonality and sustainability. John Abdo, 31, is the President/CEO of My Burger USA, Inc. He has been “Chief Burger Enthusiast” at My Burger since 2006, after taking over operations of his parents’ lunch-time burger joint upon graduating from the University of Notre Dame. Working to refine his family’s burger business model, he knew he had to start from the ground up and learn every angle of running the restaurant. After 5 years, it was time to expand the brand, and John opened the second My Burger restaurant in Minneapolis, MN in 2011, with the thought of capturing the Midwest better-burger market. Currently, he overseas all aspects of the small chain, and is looking towards building a formidable, sustainable and successful burger business in the Midwest US. This dynamic duo and husband and wife team are the country’s leading restaurant brokers. They are the founders of We Sell Restaurants, the nation’s largest restaurant brokerage firm. Restaurant brokers, authors, radio hosts, speakers and experts and franchisors, their book, Appetite for Acquisition was named Best of 2012 by Small Business Book Awards and has a five-star rating on Amazon.